Previously unissued live recording showcasing the final stage appearance by this legendary garage combo's original lineup! 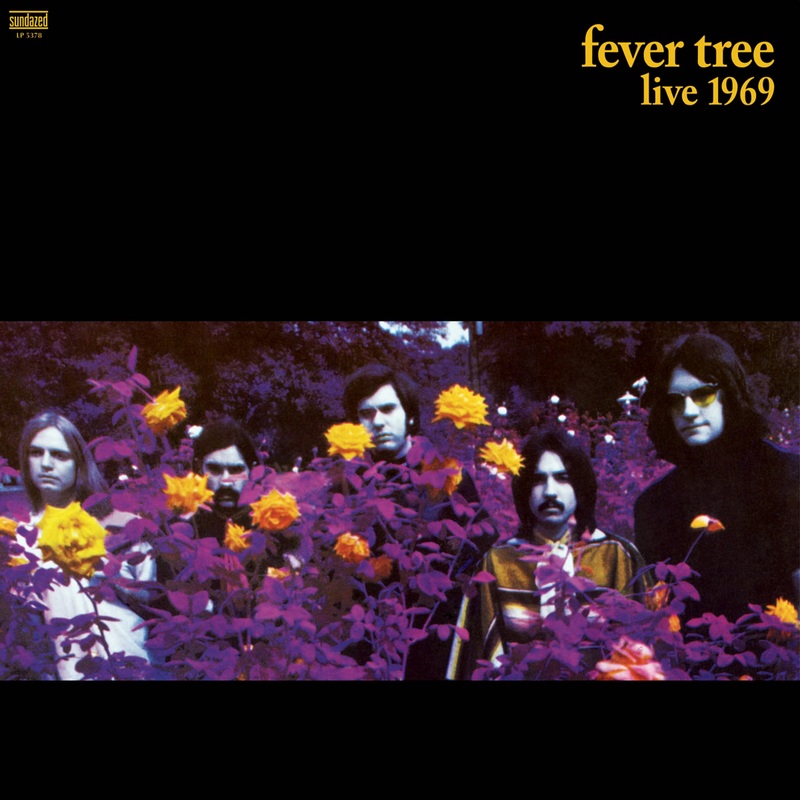 The never-released 1969 live effort from Fever Tree! Gulf Coast punk phenoms the Bostwick Vines see Cream and Hendrix and bring their tough interpretation of that combination to Hollywood, California. With three unique studio albums to their name, Fever Tree splinters after this live gig in Texas, but not before laying down one final testament to their evermore worth as swooning psychedelic rockers. Sharpening their chops on the Gulf Coast circuit, followed by a high-profile opening night gig at Hollywood's legendary Kaleidoscope, Fever Tree developed a keen sense of musical drama and dynamics. This versatility is in sharp display on the concert's rendition of their underground radio hit "San Francisco Girls (Return of the Native)." For the rest, Live 1969 focuses on groovers, a perfect set-up for the gliding fuzztones of lead guitarist Michael Knust, the sonic organ of Rob Landes, the thick rhythms provided by E.E. "Bud" Wolfe III on bass and John Tuttle on drumsand the dynamic, driving lead vocals of Dennis Keller. "Don't Come Crying to Me Girl," a song originally found on the band's second album, levitates the band beyond any earthly confines. Elsewhere, the set moves between a soaring cover of Donovan's "Hey Gyp," their own power pop "Grand Candy Young Sweet" and a whirlng psych take on Wilson Pickett's "Ninety-Nine and One Half (Won't Do)." Playing as if their lives depended on it, Live 1969 captures a band at the height of its powers, forever preserved on this final audio testament. Also available for digital download on iTunes.